Gender inclusion is a concept that transcends mere equality. It’s the notion that all services, opportunities, and establishments are open to all people and that male and female stereotypes do not define societal roles and expectations. While the United States has made dramatic strides in narrowing the gap between the sexes, statistics show that prevalent challenges exist, and we must address and eradicate them before our society can achieve true gender inclusion. Promoting gender inclusion through the creation of demonstrative examples of the concept in action is of the utmost importance as we strive toward this goal. Even as prominent sections of the population strive for a more inclusive society, the lack of gender inclusion persists as a major issue. According to a 2017 United Nations survey, various structural roles in the home, school, and workplace are prime movers behind the ongoing lack of inclusion. The discrepancy in workplace wages is one of the biggest indicators that a lack of gender inclusion still exists. While studies indicate that the gender gap in pay has decreased since 1980, there is still a noticeable difference between what women earn and what men earn. The following resources demonstrate how this gap looks in modern society. 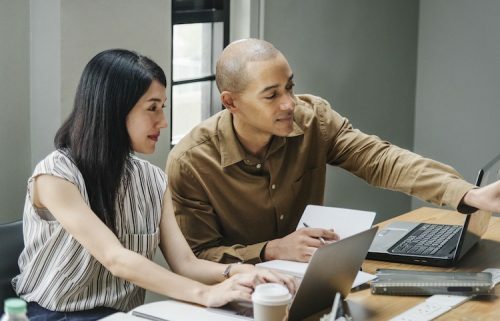 The Narrowing, but Persistent, Gender Gap in Pay: This comprehensive Pew Research study tracks the evolution of the pay gap over the course of nearly four decades. The State of the Gender Pay Gap 2018: This report breaks down the gender pay gap through correlating workforce data, including the lack of women at an executive level. Projected Year the Wage Gap Will Close by State: This projection-driven report provides insight into the future of gender inclusion and equality in the workplace. While persistent gaps in the workforce exist, studies indicate these issues are even worse for minorities. One Chart Shows How Much More Men Make Than Women in 25 Major Cities: This graph breaks down how race amplifies the gender gap in metropolitan areas. The Gender Wage Gap: 2017 Earnings Differences by Race and Ethnicity: This report provides a breakdown of gender wage inequality by race, compared with general wage gap statistics. Women of Color and the Gender Wage Gap: This report highlights the socioeconomic circumstances that may increase pay inequality among minority women. From a global perspective, oppressive cultural traditions help to fuel the lack of gender inclusion. These traditions have cultivated rights-driven protests and pushback, which have become more widespread in the social media era. 10 Examples of Gender Inequality in the World: This article features a comprehensive list of gender discrepancies from around the world. Gender Equality Heritage and Creativity: This exhaustive UNESCO report emphasizes the lack of gender inclusion and inequality from a cultural standpoint. Gender Inequality Index (GII): The GII breaks down the various society-driven metrics that contribute to the lack of gender inclusion from around the world. The seeds that cause a lack of gender inclusion can often be planted in youth. Various activities and groups can establish and reinforce stereotypical gender roles and interests, which can create feelings of exclusivity. Family Patterns of Gender Role Attitudes: This detailed study analyzes how the family unit can influence gender roles and inclusiveness. Gender Roles Reflected in Teen Tech Use: This statistics-driven Gallup report demonstrates the correlation between multimedia and defined gender stereotypes. It Begins at 10: How Gender Expectations Shape Early Adolescence Around the World: This report examines the age at which perceived gender roles can become concrete. What Can Be Done to Demonstrate Gender Inclusion? 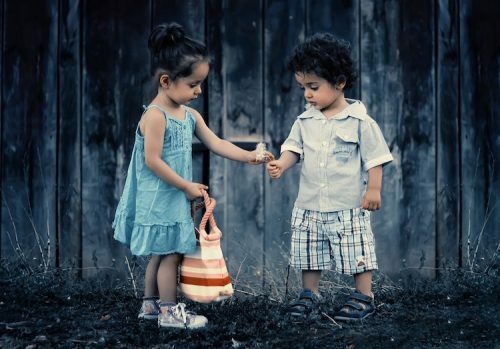 The concepts of gender inclusion and gender roles can originate during child development. Studies indicate these roles are chiefly established during adolescence. Therefore, it is important to reach out to youths and explain the significance of gender inclusion. Doing so can potentially make inroads toward eliminating the gender gap that is still unfortunately prevalent in society. Talking to Young Kids About Gender Stereotypes: This article provides guidance on how to raise children in an environment defined by gender inclusiveness and also lays out the negative gender attitudes that can manifest without such an atmosphere. Fast Facts: Youth and Gender Equality: This report demonstrates the challenges that lie ahead in reaching youths about gender inclusion around the world. Understanding Inclusion and Participation in Working with Youth: This article is a summary of a UNESCO-led workshop built around demonstrating gender inclusion to young people. The ongoing push to close the gender gap and promote gender inclusion may have a fundamental impact on how future generations perceive gender and gender roles. The Future of Gender? : This article examines the impact gender inclusion could have on various aspects of society, from gender hierarchy to communication. A Gender-Neutral Future: This article demonstrates how further decreasing the gender expectations surrounding various activities can bring about greater instances of gender inclusion. How Can Teachers Be More Gender Inclusive in the Classroom? : This Brookings Institute article explores the role of educators in promoting gender inclusiveness and equality to tomorrow’s adults.